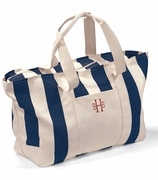 Beach tote in navy and natural with a silk screened navy anchor. 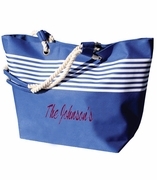 Fill this light weight tote bag with all the essentials� lotion, flip flops, magazines, and water. A perfect thank you for sharing a beach vacation, retirement gift, or destination wedding tote bag. 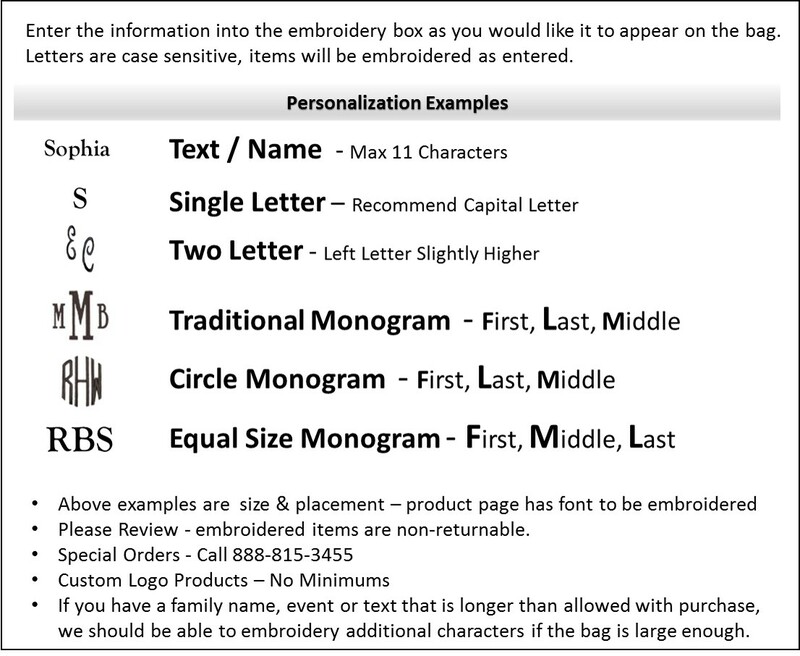 Add personalization two letter monogram placed left and right of the anchor. I bought 2 of these bags as bridesmaid gifts for our destination wedding and they are perfect! It's a nice heavy fabric and I liked that they included a matching little bag as well. Shipped very quickly.